1. 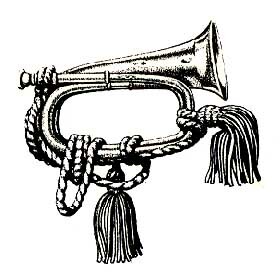 An instrument of copper or brass, similar to the cornet, but higher and more piercing in pitch. Formerly it was equipped with keys or valves, but now exists only in natural form and is used in military field music.